Are your current premises a little bit squeezed? Are you researching the possibility of having a convenient portable building? If so, why not get in contact with Modular Direct? 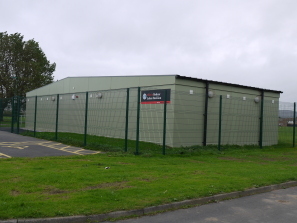 The team at Modular Direct can highlight the benefits of portable buildings and how they can help you improve your space dilemmas,and improve your situation. The biggest benefits of portable buildings are the speedy construction timeframes. If your site has planning permission, the erection of a portable building could help you find the right space faster than that of the traditional build route. Whether the solution required is long, medium or short term, Modular Direct will have the right solution for your problem! Modular Direct has nearly 30 years experience in the industry. This experience is shown in the expert advice from the Modular Direct team. The team will make sure that you find the right solution to match all types of budget.